Summary: Expats often ask if health insurance is free in France or if you need health insurance to go to France. Here is basic information about the French healthcare system. The healthcare system in France is a universal healthcare system - Protection Universelle Maladie (PUMA) - meaning that all residents in France must be covered by law. PUMA enables both non-EU and EU expats to apply for health coverage after living in France for 3 months. Prior to PUMA, EU expats had to wait 5 years to enroll. Expats must meet certain criteria before they are eligible, and healthcare is not free for expats in France. As with other people in France, if you are working you will have roughly 8% of your salary taken automatically to help fund the system. Whether expats qualify or not, it is a requirement that expats have health insurance at all times while living there. Unlike systems in other countries that have adopted a fully socialized healthcare system, France's version has public, non-profit, and fully private elements that combine to comprise the system. Official French healthcare coverage information is available on Amelie.fr English Pages. Definitely read their description of different situations to help determine how you will be considered when they assess your paperwork. Contact information there will help you find assistance in English via telephone. You likely will need to register with CPAM (Caisse Primaire d'Assurance Maladie). The telephone contact information found at the link above above (Amelie.fr English Pages) will help you find the correct information if you cannot speak French and are looking for the appropriate address of your local office. Those that enroll will receive their Carte Vitale. It is a "smart card containing the administrative information needed to take care of your care . The health professional you see (doctor, dentist, etc.) uses your Vitale card to create an electronic care sheet (which replaces the paper care sheet ). The information is sent directly to your health insurance organization. Thus, you are refunded within 5 days without having to do anything." As you move through the application process, it's a good idea to ask repeatedly what you need to do to ensure you receive your Carte Vitale as expeditiously as possible. Just because you receive approval to access the system doesn't necessarily mean you will automatically be issued a card. That can create some complications getting access to care or receiving reimbursement if you end up needing care sooner than you anticipate. If you are moving to France as an employee of a company, they almost always will get you enrolled in the French social security system. Most people, expats included, opt to obtain private health insurance to cover the costs of what isn't reimbursable through the public system. 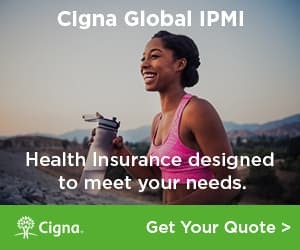 Expats living in France interested in expat health insurance should take a minute to get a quote from our trusted expat health insurance partner, CIGNA. Entrepreneurs, Digital nomads and others that work for themselves must enroll through the Securite Social Independants. As an aside, all insurers in France - public, non-profit and private - line up health care from a broad pool of public and private institutions and providers. Check out this explanation of how France uses the public and private healthcare sectors to make their system work. Get a quote for expat health insurance in France from our partner, Cigna Global Health. Expats in France share tips about applying for the Carte Vitale, PUMA, supplemental health insurance, English-speaking doctors in France, having a baby and more. Learn French! As in any other country, seek a second opinion for serious problems. Help others moving to France by answering a set of questions about health insurance, public healthcare in France, prescription medicine, quality of medical care and emergency services. Read recent baby reports submitted for La Rochelle and Nice. Visit our France Forum and talk with other expats who can offer you insight and tips about living in France. 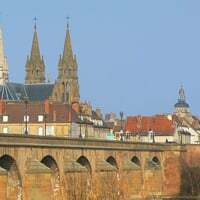 Choosing an international school in France can be a difficult decision. This article provides an overview of some popular international schools in Paris and other areas of France. Expats offer tips on health insurance, renting in Paris, culture shock, meeting people and more. We asked expats about great places to retire in Western Europe. While many Western European countries have prohibitively high living costs, there are a few areas that fit the retirement bill. These are some of the recommendations! Our working in Paris guide offers information and tips for expats and others who want to work in Paris. Joshua Wood, LPC joined Expat Exchange in 2000. Joshua has a BA from Syracuse and a Master's in Clinical and Counseling Psychology from Fairleigh Dickinson University. Some of Joshua's more popular articles include Pros and Cons of Living in Portugal, 10 Best Places to Live in Ireland and 5 Best Places to Live in Spain. Connect with Joshua on LinkedIn.